An Academic Discourse presented on the occasion of the Matriculation and Induction of students at the St. Veronica’s Medical Centre, Buea on 8th November 2013. I wish to thank the Management of St. Veronica’s Medical Centre for inviting me to share some thoughts on civic education and healthcare practices on this year’s Matriculation and Induction ceremony. My conversation has as target group these fresh persons who have elected themselves into the health space for the next 1 to 4 years depending on the programs they are offering and my impact group is all those who are making a living from the medical profession. I hope to look at why civic education has become topical these days, throw a frog’s eye view on some of the anti-civic education patterns that contradict the best practices in our healthcare and try to make some suggestions that could marry civic education with healthcare service delivery. First we need to agree that the 431 students, entering into St Veronica’s Medical Complex today like their previous colleagues have different reasons for doing so. Some out of the passion for the profession, others because they have not made it elsewhere and quite a number because their relatives and friends have advised them that nursing opens better financial opportunities out of the continent especially in the United States. My young friends your entry reasons into this prestigious and famous institution today are as varied as they are personal but your exit reason should be both common and collective which is that of saving human lives; that of humanizing our health care system. In a moment you shall be taking your Matriculation oath and through that oath you shall become health practitioners by intuition, through your training in this complex you shall become practitioners by tuition and when you would have completed your course you are expected to be practitioners by dedication. But the road between intuition and dedication is fraught with the sharp bends of malpractices and the steep hills of moral anemia that make the ascent to civic education very tedious. “Grand Frere had rushed his wife, who had been broken down with a high fever and shaking like Shakespeare, to the hospital. The moment he drove through the hospital gate, the farce of the trade fair had been born. And it grew and grew, revealing the stealthy paws of hospital staff, mass bureaucratic ineptitude and some hospital chicanery. Within half an hour, my friend was FCFA 30000 poorer with the prospect of rolling his wife to the operating theatre looming over him. It was his first real brush with Hospital hospitality. It started with the doctors, who swarmed over his wife, each of them making their various diagnoses ranging from malaria, typhoid, appendicitis, headache, abdominal pains and some unprintable gynecologic distresses. One of them recommended operation in the theatre. Then the nurses came. And the pharmacist stepped in. One of who had been studying Grand Frere eased him out of the crowd, grabbed the hospital book from his hand, opened the current page, sneaked a quick look at the prescription, looked at him and said “these drugs are too expensive elsewhere but you can buy cheaply from here”. The hospital pharmacy, she meant. Grand frère warmed up to the proposal; seeing how the line was long and winding and his wife writhing in pain and how light his purse felt in his hind pocket. So he said “you will issue a receipt of course”. That seemed to undo the woman, for she suddenly flung the book at Grand frère and strutted away, a curse quivering on her lips. Dejected, Grand frère sat on a bench and started conjuring the lyrics for a eulogy when it turned out that his wife had had too much work without play. She needed just a bed rest. By the grace of God, a careful doctor still left with a huge amount of conscience had run a background check to determine the patient’s history and had pinned it down to stress. Many more arcane things go on at the hospital; some patients are prescribe drugs that they do not need which the nurses later rescue from their bedsides to sell elsewhere. Sometimes luckless patients who need operation are lured away by charlatans to private clinics where they are butchered to death as it happened to a pregnant woman early this year. Nothing has been said or done about it. The quack has merely changed his station likely to continue with his bloodbath. Meantime, hospital waste, placentas, syringes, needles, dressings, vials and all the like are piled around the derelict incinerator just behind the hospital”. This article shows us the two faces of anti-civic education; one that is individualized and based on character and the other being institutionalized and based on environment. At the individual or personal level there are health practitioners without the slightest feeling for their patients or work ethics-they are late to work but early to leave most often for the pubs or bars; they lack commitment and hardwork; they are rude to both hierarchy and patients; they dress indecently, harass both staff and patients sexually, and like we just read about the mortuary attendants in Kenya after the Westgate Shopping mall terrorist attack they can steal or mutilate corpses for any amount of money. But this same excerpt has one honest health practitioner with a conscience, one who still lives by the ethos of the Hippocratic Oath. This excerpt also provides us with a glimpse of institutionalized anti-civic behavior with the hospital environment serving as a garbage centre, with overflowing litter bins where they do exist, with no running taps and the result is that the patient leaves the hospital sicker than when he/she was admitted. Individualized and institutionalized anti-civic patterns in this excerpt could be extended metaphors of any other hospital or public space where human beings interact. And so the single health professional who lives with his/her conscience like the one which we just got from the article is the kind we see doing medical outreach programmes, door-to door vaccination, mobile van sensitization against health hazards, health campaigns through the media, yes he/she could be alone but one person on the side of truth, honesty, conviction and dedication constitutes a qualitative majority. My friends you have made a right choice entering into this vocation. Otherwise how can one explain that this school opened its doors in 1998 with an enrolment of 19 students and fifteen years later we have 431 students enrolling today? Without prejudice to other professions, the health domain like the teaching profession stands tall with government making quite some efforts in creating proximity healthcare service. And because the health profession stands tall, it is conspicuous for criticism and scrutiny. So when you shall go out for internship or when you would have completed your course, I trust you shall not emulate those who have transformed the health profession into a mortuary of conscience for they are only there for greener pastures. Rather, I exhort you to emulate those who have transformed this profession into a maternity of conscience for like the colour of your dresses they are there for whiter pastures. As it is traditional of your impending career, health professionals are often interested in what people die of but society shall be interested in what you lived for. In the course of your training there shall be programs on nursing, medical sales representatives ,medical secetaries,health care management, nutrition and dietetics etc etc but you may or may not be formally taught a course on interpersonal skills. Yet interpersonal skills or maybe that is what your teachers call psychotherapy is central to both civic education and healthcare management. It involves demonstrating respect and value for others, listening and developing an understanding of others, communicating and maintaining effective yet professional social relations between the patient and the health practitioner. It involves anticipating some of the feelings that the patient is expressing and placing yourself in the situation of the patient. You see when we were growing up we knew that a person died and was buried a few hours later, then came mortuaries which were little frightful houses nestled in some hidden corner at the back of the hospital but today morgues are at the entrance of the hospital, the guy selling coffins is adjacent the hospital so by the time a patient is rushed to the hospital he/she is already having images and symbols of death looming over him/her. And when he/she meets a vicious health practitioner on duty, the patient dies before his/her death. We must go back to our Cameroonian indigenous practice called ‘M’bangsuma’ which calls for solidarity and care; we must revive the South African philosophy called ‘ubuntu’ which calls for being each other’s keeper. Through this we shall give our healthcare system a human face. I saw on one of the walls in your hospital The Veronica’s Creed and my attention went to two of the principles: Never compromise honesty; Make money your servant not your master. My young friends, be committed to your studies the way the person who takes care of your lawn does. I am referring to King. Let hospitals continue to recognize meritorious staff through awards and let health professionals know that people give awards but God gives Rewards. Let the wages and working conditions of the health personnel be improved on so they can channel their energies to saving lives. Finally my young people, you have chosen the profession initiated by Florence Nightingale who was known during the Crimean war as ‘the lady with the lamp’-use her lamp to shine a light on all the malpractices that negate civic education and that hinder service delivery in healthcare, so that in the end you shall be awarded or rewarded as one who did all in his/her power to raise the standard and prestige of the high ideals of the health profession. 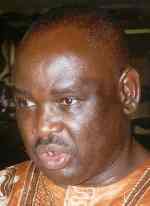 George Ngwane is a writer and panAfricanist.